What is Working Holiday Tax? Xero is small business accounting software that runs in the cloud. This means all your financial data is stored online – so you can access it anywhere, anytime, from any device with an internet connection. The Xero accounting application was designed specifically for small businesses. It’s easy to use and will save you incredible amounts of time, transforming the way you run your business. 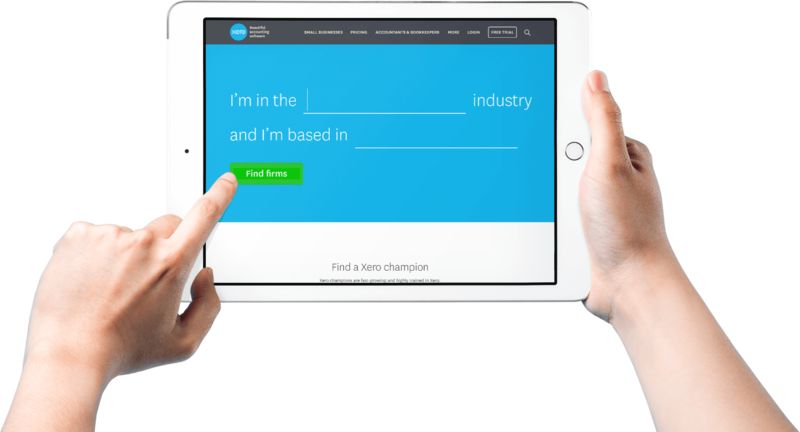 Small business owners actually say they find using Xero fun! Cloud based accounting systems like Xero run in real-time, which means your data is always up-to-date. There’s only one version of it, so you can connect from the office, at home or on-the-go – no more being tied to your desktop! Xero uniquely provides a single platform where small businesses and we can collaborate easily online. You can choose who you want to give access to your financial data, then log in and look at the same figures at the same time, without any complicated processes. You invite us to your Xero as an advisor and share the data in real-time with Ezy Tax Online. All of Xero’s features have been created to make small business accounting easier. What’s really exciting is that Xero’s features are constantly growing and adapting to the needs of small businesses – and all updates are free! Xero integrates with a large network of Add-on applications to help you manage all aspects of your business. These include point of sale, time tracking, inventory management, invoicing and job systems plus a wide range of other specialised software. Xero approved conversion service, JetConvert converts from Reckon and MYOB to Xero for free. Thousands of Australian Businesses have switched to the best accounting software, Xero without any hassle. Copyright © 2013-2019 Ezy Tax Solutions Pty Ltd. All Rights Reserved.